It's 2016 and I'm still posting my tour back in June 2015 AHAHAHAHA! I know, don't kill me, I'm too lazy to begin the whole article and I'm still drafting the other 2-days experience guide for Phi Phi Island, Krabi. There's a lot of things going on last year and it was a roller-coaster experience for me. There were a lot of up and down moments for me and it was part of the reasons why I abandoned my blog for quite some time. 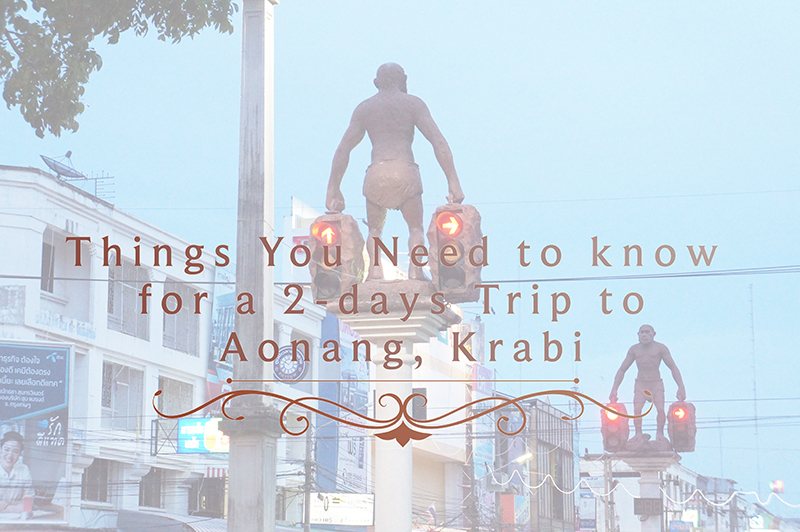 No promises, but I will try to keep update my post as I want :D. So, today, I'm sharing my experience in Aonang, Krabi. If you are travelling to Krabi with a bunch of friends, here's a simple guide for you and your friends. As usual, they provided WiFi service but the reception can be bad sometimes. They also provided complimentary breakfast set from 7.30AM to 12PM. It's decent enough, so be sure to get breakfast before going for a long tour during the day. They have a safety box in the cupboard, provided with necessity such as the toiletries and towers. They have universal plugs as well, remember to get it from the counter and return it back before you go home. Did you see the blue drinks? 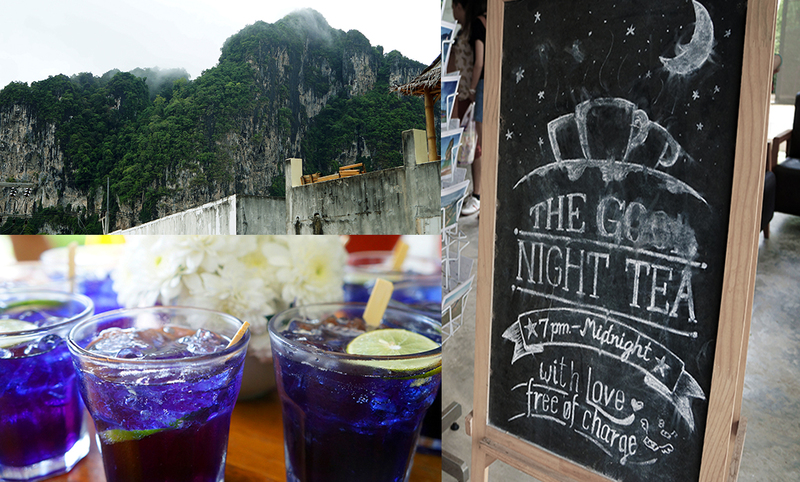 They're the Signature welcome drinks named as Blue Chai (Butterfly pea teas). It tastes weird but it is drinkable, don't worry about it. It is a flower tea that has several benefits such as preventing skin bruising and stimulating blood circulation. If you're a tea lover, don't miss out the Good Night Tea provided by the Mini House from 7PM to 12AM. 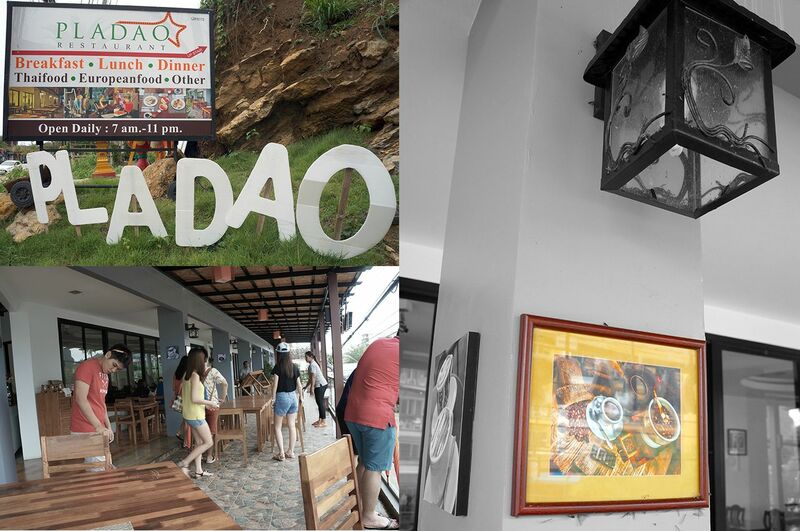 If you are super hungry and wanted to fill up your stomach quickly, you can give it a try at Pladao. 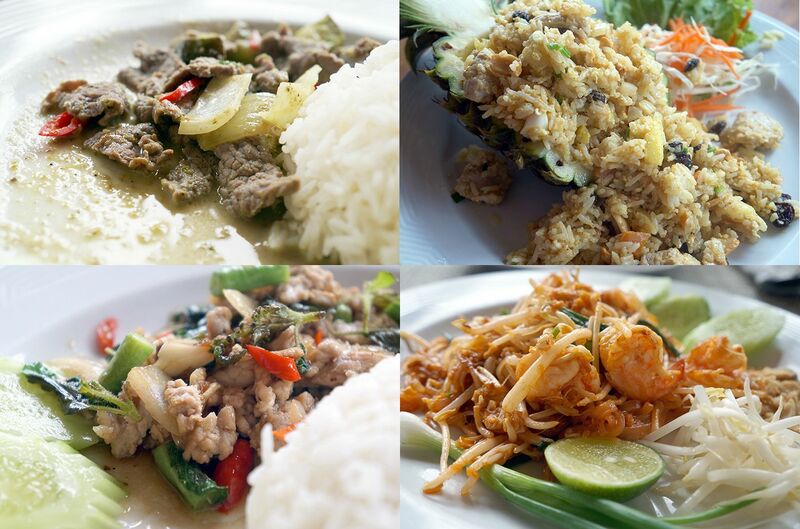 It is not highly recommended but you can give it a try for the types of Thai food you would like to try. The price was ok, and pray hard you wouldn't face any blackout during your meal. We had an unpleasant lunch due to the blackout and most of the drinks were not available. 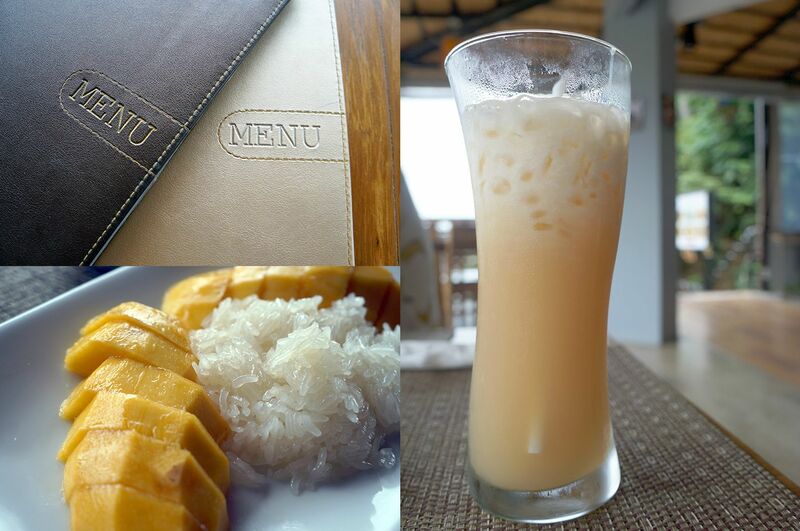 To be honest, I'm slightly disappointed with the mango sticky rice and Thai Milk Tea. The mango sticky rice wasn't up to my expectation, so do Thai Milk Tea. It was too sweet to begin with, and I had to call for a soft drink instead. The food was ok, but not decent. Be sure not to eat too much at this restaurant because you can definitely find a better restaurant for better food. 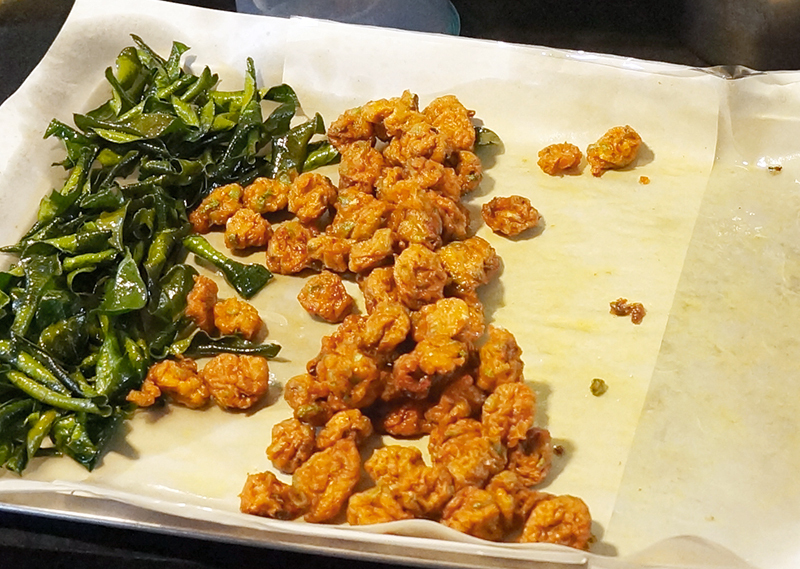 However, if you do want to give this a try, you can satisfy your taste bud with the pineapple rice. A must go restaurant in Aonang, Ton Mayom Restaurant. This place has the best green curry that I've ever had in my life, even the green curry in Hatyai can't beat this one. We took quite some time to locate this shop because it is hidden quite well and cannot be found from the main road. There wasn't any indicator signboard for the shop, hence you will have higher chance to miss the pathway to it. Luckily, you have me (chey...)! 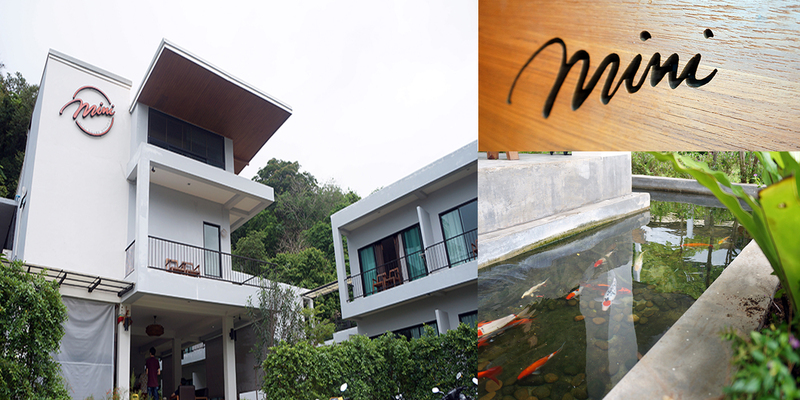 You can ask the locals for a resort named Aonang Miti Resort, they will be glad to give you directions. Enter the pathway although it is slightly dodgy and creepy, keep going till you see a signboard like this. Follow the direction and you will see a small restaurant like this. Wala! You've reached your destination~ There will be a signboard showing Ton Mayom's name, so no worries if you find the place is a little dodgy. 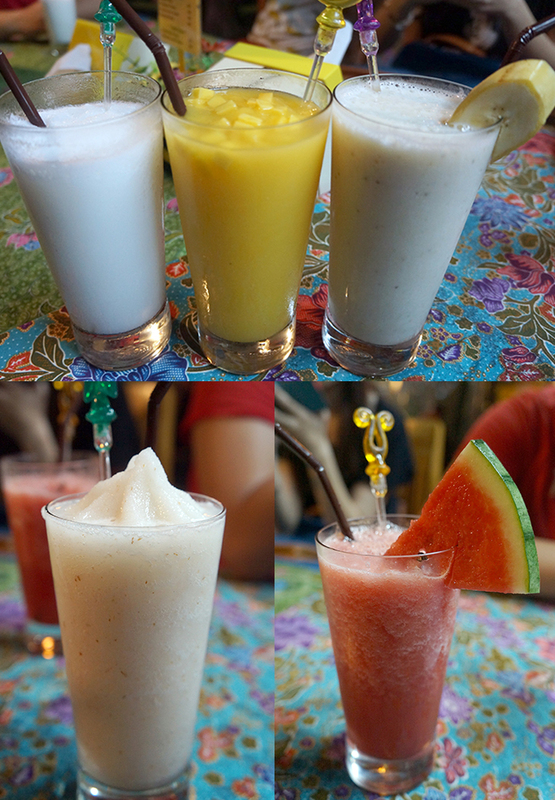 The famous shakes in Thailand from left to right:; the Coconut Milk shake, Mango shake, Banana Milk shake, Lychee shake and Watermelon shake. The Coconut Milk shake is the best among all of them, and the least favourite is Banana Milk shake. We love the Banana Milk shake, but all of us agreed it is too Banana-ish. If you want to try something new, go ahead with the Lychee shake, you will not be disappointed at all. I highly recommend you to pick up the red and green curries~ These curries are not the usual curries you've tasted before and you must not miss out the tom yum soup because it tastes absolutely satisfying. The Thai tom yum soup is usually sweet and sours, with slight spicy to it. 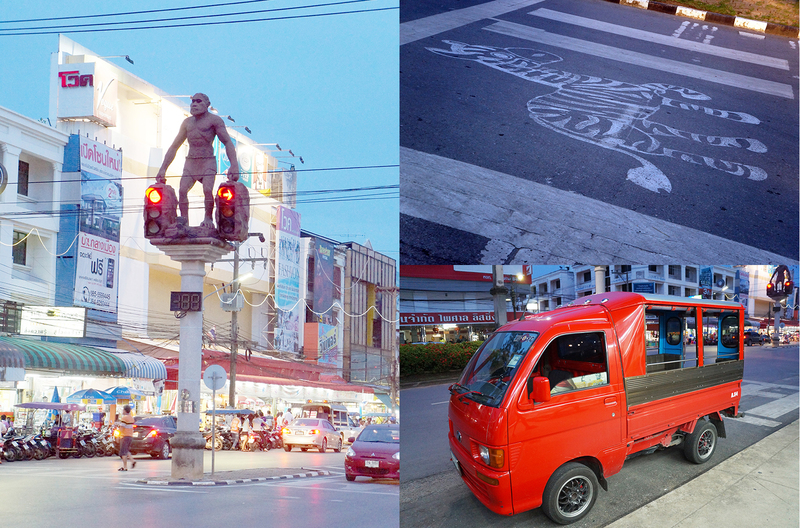 Aonang Night Market (Walking Street) is the place you should visit in Krabi. The signature statue stood bravely on the top of traffic stand, with a zebra drawn on the road to indicate the zebra crossings. I love the uniqueness of this town, especially the famous "tuk-tuk" car. 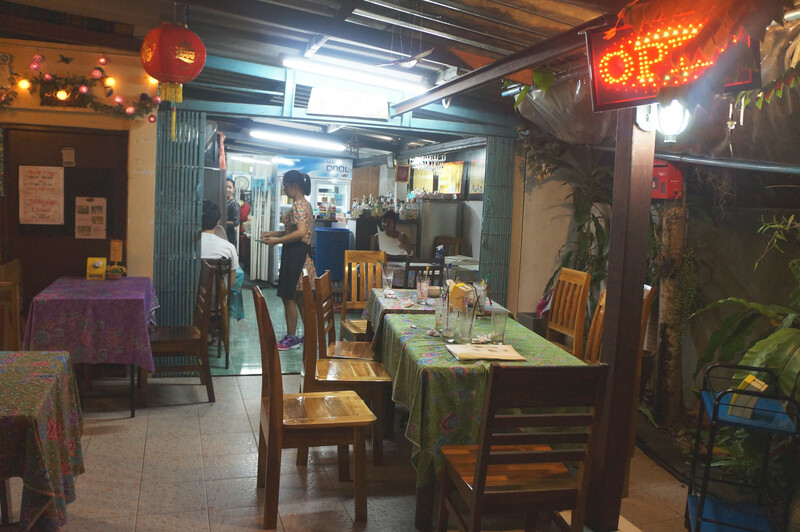 It costs us around 300 Thai Baht for 9 people from Mini House to the Aonang Night Market. The night market only opens during weekend, so be sure not to come here at other days. The famous fried ice cream at Thailand! It is about 50 - 80 Thai Baht, if you are keen on trying out these ice cream, go ahead but don't expect it to taste really good. I would say our McDonald's Vanilla ice cream is better than this one. 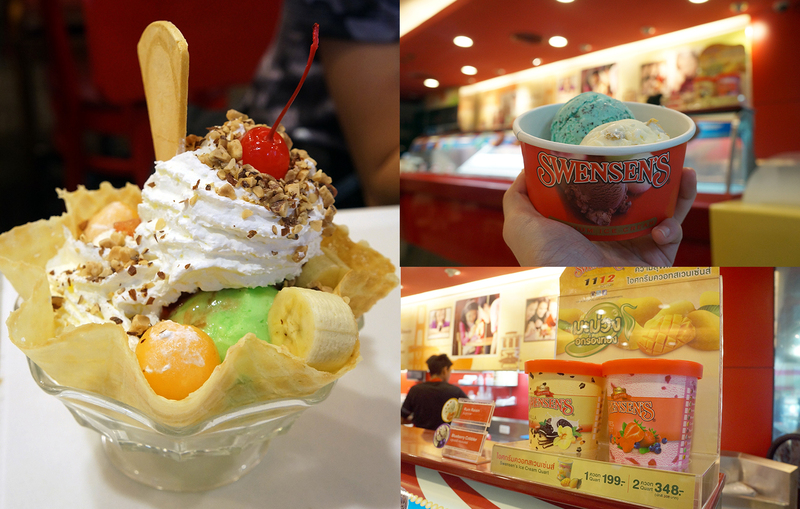 If you really want to eat ice cream, I would suggest you to go Swensens nearby the night market. The price is slightly higher but you wouldn't get disappointed at the ice cream. 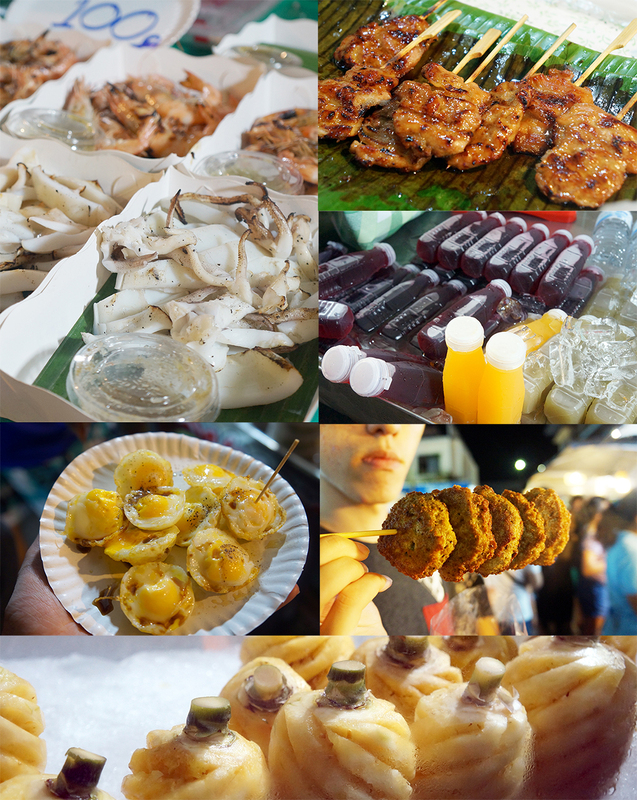 Try as much food as possible at the night market! The seafood, fruits and meats are super fresh over there! One Day Tour at Krabi! You can find a lot of travel agency along the street at Ao Nang, do scout around for cheaper prices too! There are a few tour packages available and they are cheap too. The price ranges from 1900 - 2500 Thai Baht per person (Adult price), depending on the type of packages chosen. After a tiring workout with all the activities from the one day tour, massage is a must! It's everywhere and all you need to do it to find a decent massage parlor. 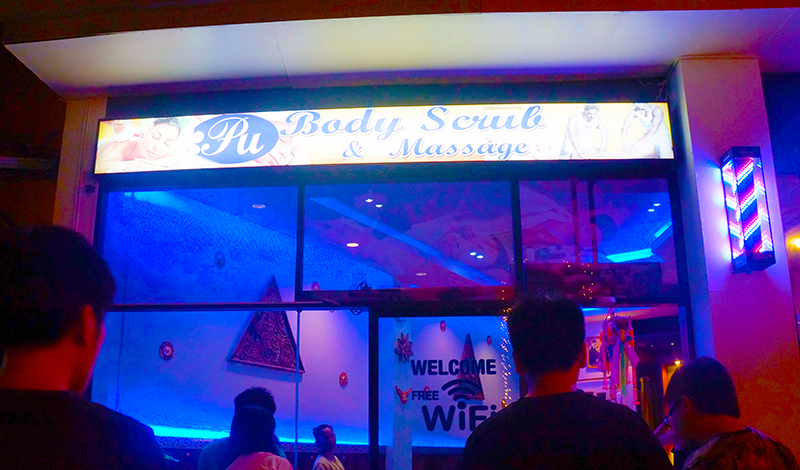 I highly recommended this PU Body Scrub and Massage. The staffs are very friendly and it is a very nice place to enjoy the massage. The full body massage only cost 250 Thai Baht for an hour, with extremely good services from them. Foot massage will be cheaper and it should be around 180 Thai Baht. It is ok to tip the staffs for their good services, they will be glad and appreciate your tips. If you have no where to go but would like to chill in an air-conditioned place, find Swensens ice cream in the shopping malls. Two scoops of ice creams worth 79 Thai Baht and they were good too. We have Swensens in Malaysia, with wwith only two outlets in Subang Jaya and Avenue K. Swensens in Krabi has a lot of ice creams to choose with and the outlet focuses on selling ice creams, unlike the ones in Malaysia. Chill at the beach, with Thai beer and Thai yogurt drink. I know it sounds weird but you're suppose to enjoy your trip by spending some time to do nothing. 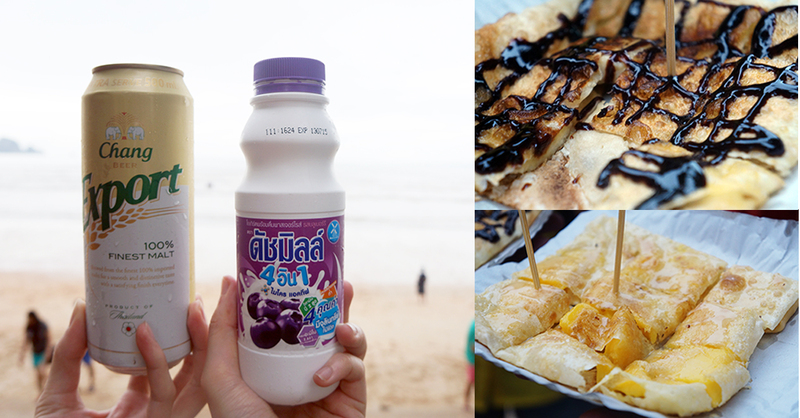 Thailand pancakes are slightly different than the usual pancakes we knew, it is in the form of Roti Canai and yeap, you will find banana or chocolates, and even pineapples in the pancakes. Give them a try for 20 Thai Baht each, you will not be disappointed. What else to do at Aonang? Shopping! Who leaves a country without bringing some souvenirs for yourself or your friends? 7-Eleven stores in Thailand are FAR BETTER than the ones in Malaysia. They have almost everything in the convenient store! From makeups to toys, from drinks to burgers, you will be fascinated by their packaging and their quality too! I'm still drafting my 2-days experience at Phi Phi Island,so stay tune!